Q. Wedding package or customized event? Q. Who will help us plan our wedding? A. Our wedding specialist will be there guiding you through the entire process to help you plan this unique event, from the first stages of planning, selection of key vendors, managing budgets, advising on latest trends and styles to the actual execution of the event; rest assured your event is in professional hands. Q.Who can I turn to for services not provided by The Holiday Inn Resort Aruba? Q. Do you offer food tastings? Q. Can arrangements be made for guests with special dietary needs? A. One of our main goals is for our wedding guests to enjoy the event to the fullest. Please send the dietary needs of your guests in advance, so our Chef can gladly present an alternative menu for them. Q. How many guests can be accommodated for a wedding reception at The Holiday Inn Resort Aruba? A. If you are looking for an inside venue, Las Palmas Ballroom can accommodate up to 240 guests for served/ plated or buffet dining with a dance floor and head table. In case you prefer an outside venue, our Pool area can accommodate 200 people and our Beach can fit 150 people. Q. Can you recommend wedding service providers such as florists, photographers, ministers, wedding cakes, etc.? A. Totally! With our expertise in wedding events, we have a great network of highly recommended and reliable wedding professionals to support and enhance your wedding day. Our wedding specialist will share these contacts with you and make recommendations based on your individual wedding style. A. We require a non-refundable $750.00 deposit due with the signed contract. 25% of your estimated total is due one month after the contract is signed, the remaining balance will be scheduled evenly throughout the planning period prior to the event date. The final payment is due 1 week before your event with the guaranteed number of guests. Final payments can be made by cash, money order or credit card. Q. What are my options for a rehearsal dinner? A. The Holiday Inn Resort Aruba – Beach Resort & Casino has a wide variety of indoor and outdoor venues to accommodate small to large wedding parties. From cocktail receptions served on our wide sandy beaches observing the beautiful sunsets, to an elaborate 5 course dinner in our elegantly decorated ballroom. Q. Do you offer special room rates for guests? A. The Holiday Inn Resort Aruba – Beach Resort & Casino is the ideal setting to gather cherished family and friends for a special wedding celebration! We are pleased to offer special group rates to wedding parties with a minimum of 10 rooms per night. Contact our Groups and Events manager to discuss your specific dates and determine availability and rate offers. Q. Do you offer Civil Ceremony Services? A. We have a partner we work with that will be involved in the planning process to assist with all of the details to have your Civil here in Aruba. Q. 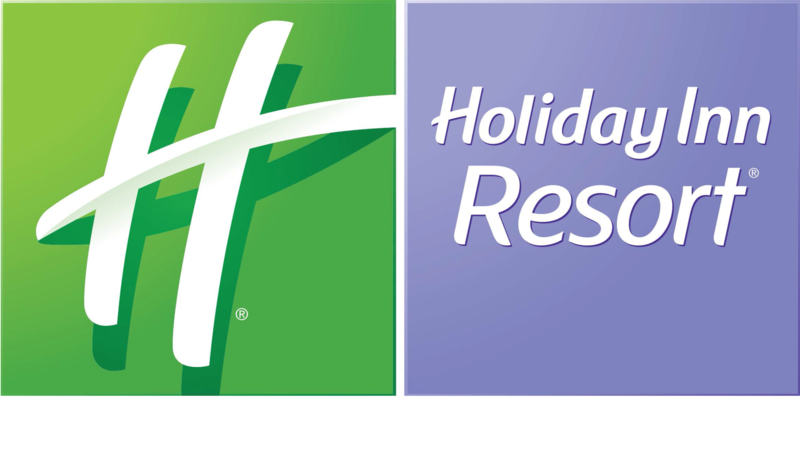 Does the Holiday Inn Resort Aruba offer shuttle service from and to the airport for wedding couples? A. We do not have shuttles services from and to the airport. We can assist in making arrangements for group pick-ups at the airport.